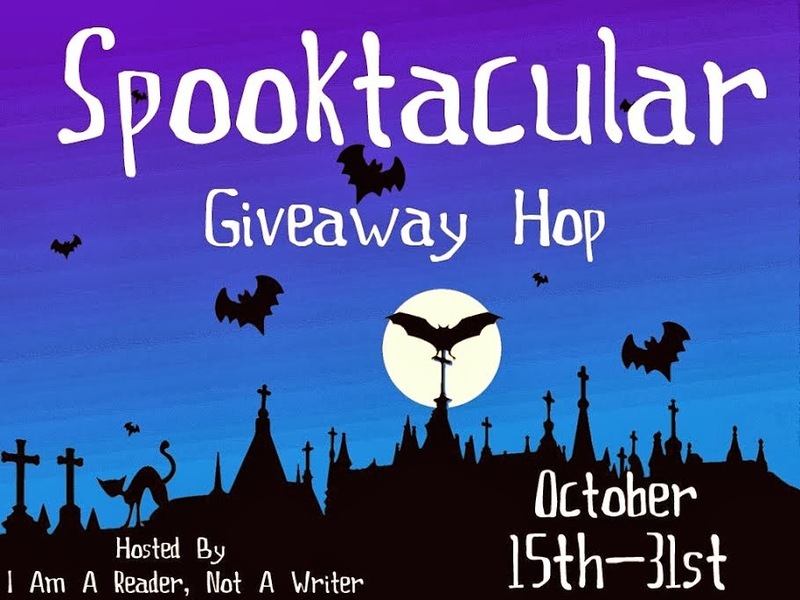 Welcome to my stop on the Spooktacular Giveaway Hop! So, on to my part in the hop! 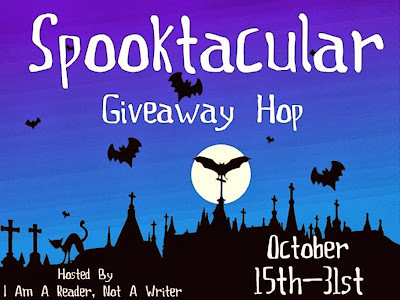 I'm giving away 3 lots of books (cozy mystery, historical mystery, and thriller) Simply leave a comment telling me which lot you prefer along with your email address so I can contact you. Earn extra entries by following me on Facebook, sharing this giveaway on Facebook, or tweeting about my giveaway; just leave separate comments for each (no need to post links, I'm operating on the honor system!). Good luck and have fun!!! I think I would choose lot 1, the cozies! Thanks for participating in the hop! I love historical mysteries and I'm a follower on Facebook! P.S. I love your blog header. :) So cute! Thanks for the great giveaway Melissa! I'm entering for the cozy mystery set. I'd love the cozy lot. Thanks. And for the books, they all look great :) But I would probably pick Cakes of Wrath, Royal Inheritance and Hollow Bones :) Thank you for the giveaway! I would choose Lot #2: Historical Mysteries. These ones sound really good!!! I would like lot #3 the thrillers! Thanks so much for being in the hop and offering this great prize! I'd like to enter for Lot #1: Cozy Mysteries. I'd love lot 1! This is great! I follow you on FB too. I would love to have #3-thrillers. I would love to win lot # 3 the thrillers. They are my favorite books. Thanks for having this giveaway. I follow you on Facebook as Anita Yancey. Lot # 1, I love cozy mysteries. Follow on Facebook. I'd like lot #2. Thanks for the giveaway! Lot #3 Thrillers looks awesome! Lot #1, Cozy Mysteries! :) Sounds like a great set of books. I would love the cozies. I'd pick the cozy mysteries. Thanks! I would love to win the historical mysteries. :) Thanks for the giveaway! I would love to win the cozy mysteries (but I might like to win one of the other lots so you can put me down for that too). The cozy mysteries (Lot #1) would be my first choice. Thank you for that chance. ceblain@tmlponline(dot)net if I were ever lucky enough to win. Thanks again. I would like to choose Lot 1: Cozy Mysteries. Thank you for participating. I've already liked you on Facebook! I'd like to win the cozy mystery lot. They all look amazing. Historical Mystery is totally my type of book!! Thanks for this amazing giveaway - I would love to win the cozy mysteries! Hollow Bones looks AMAZING! I'd love to win it! Shared on Facebook as Suz Reads! Lot #1 looks very interesting... Thanks for the chance to win! Dixienites at gmail dotcom. thrillers pack or any of them that's left. Thank you so much for the giveaway. I believe I would like the historical mysteries. I would love the thrillers pack! Thanks for the great giveaway! I'd love to try my luck for lot #3 please, these look like great reads! Thank you so much! I am so thrilled to be a part of this book giveaway extravaganza and have entered yours (tweeted)! Find me at http://wp.me/p3GCnv-1MC. My preference would be Lot #1, the cozy mysteries. However, I also like the Historical mysteries. BUT I would be appreciative of any of the books == I just like to read! I 'like' you on facebook -- and have for quite some time. I don't twitter/ tweet or do pinterest. I would love the historical mysteries! #1 or #2; either would be fine. I would love the cozy mysteries. thanks for the chance. I would like the cozy mysteries. Lot #1: Cozy Mysteries! Thanks! The Cozy Mysteries look like a lot of fun! i would like Lot #2, please!!! I like the cozi mysteries set, thank you. Lot 2 is for me! I would love to win the Thriller Lot #3. Thanks for the giveaway! I'd love to win #1 - the cozy mysteries. What great giveaway packages. I follow on your blog on Google, and also on Facebook and shared on FB too. Would love Lot #1 if I were to win. Thanks so much. Lot #1...I love a good cozy mystery. Lot #3: Thrillers. Thanks for the giveaway. I love both cozy mysteries and thrillers! And I also tweeted about your giveaway! Thanks for the giveaway! I would love Lot #1. I would love the Cozy Mysteries! I would love the Cozy Mystery Lot! I love Cozy Mysteries and thank you SO much for the Giveaway! I follow you on Facebook as SharonBraswell.